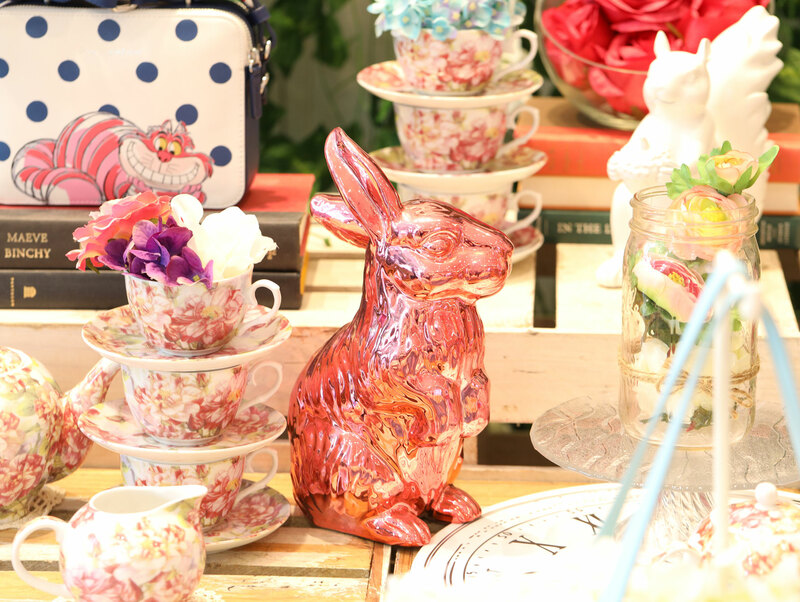 The concept of Wonderland has fascinated us for a while now. 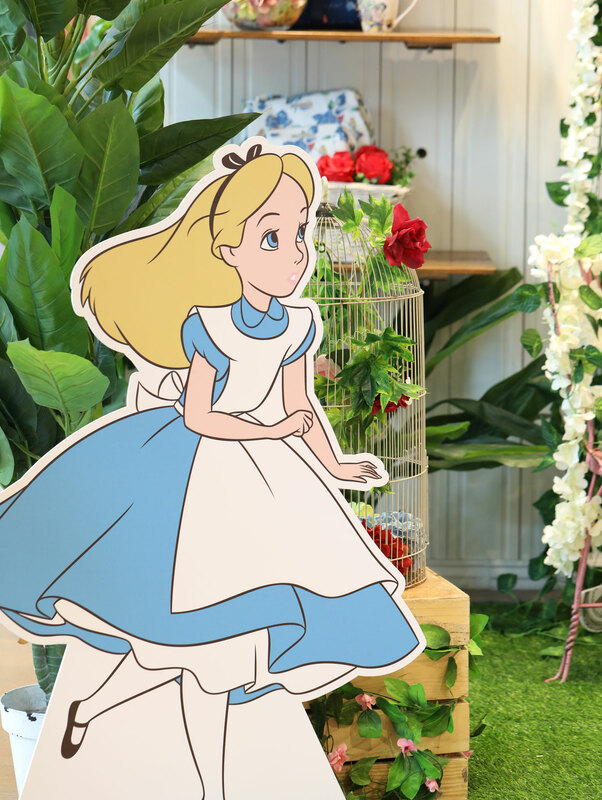 We remember scanning tha pages of Vogue some years back, admiring the Alice in Wonderland-inspired editiorial they did with Annie Leibovitz and Natalia Vodianova. 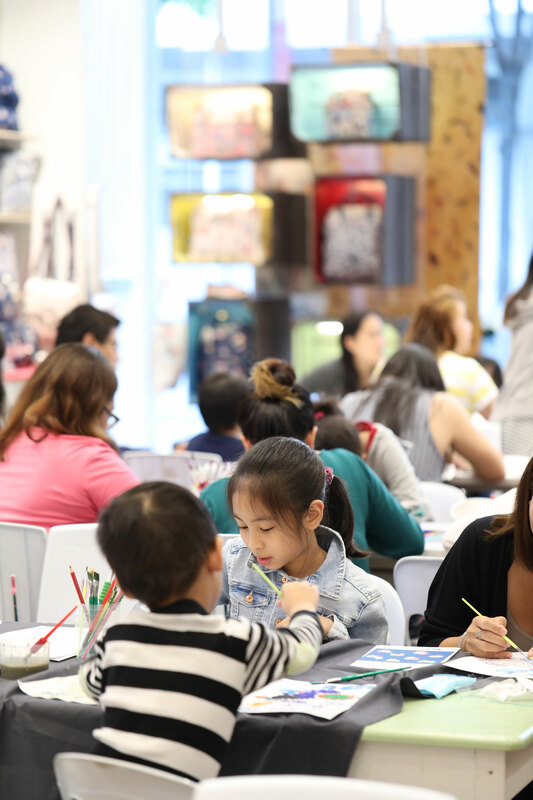 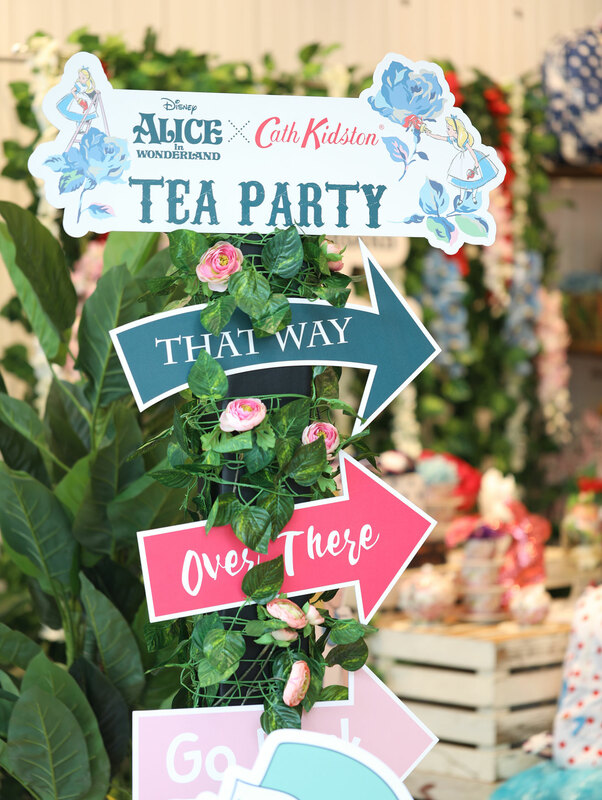 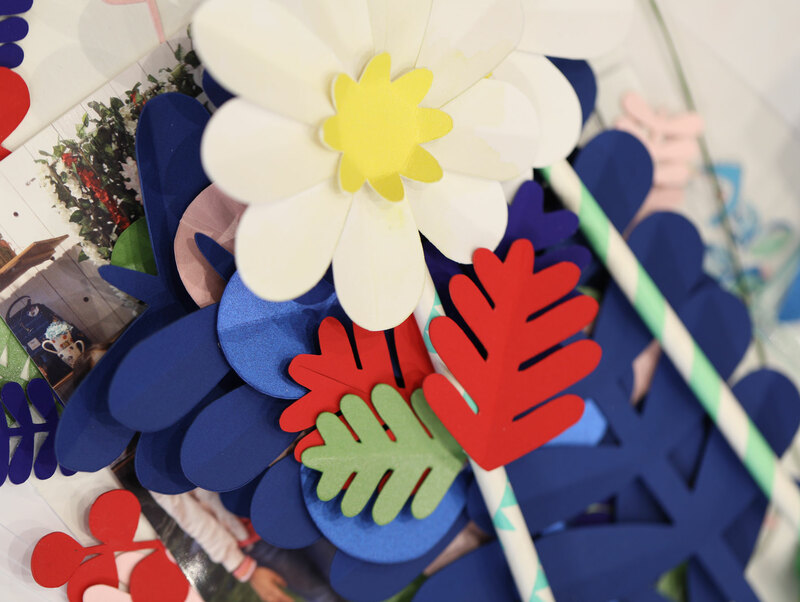 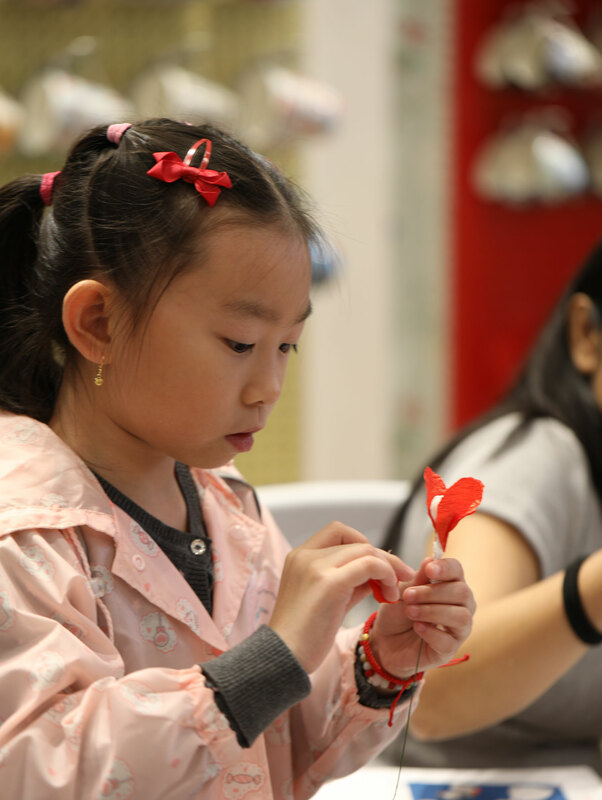 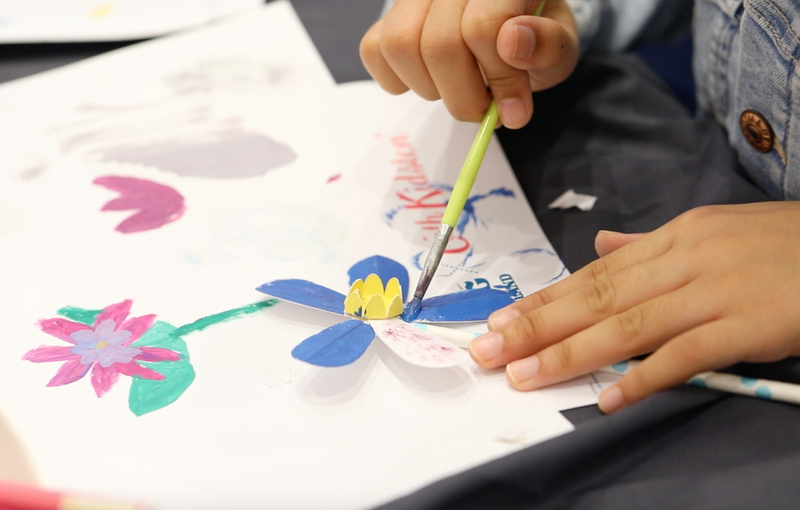 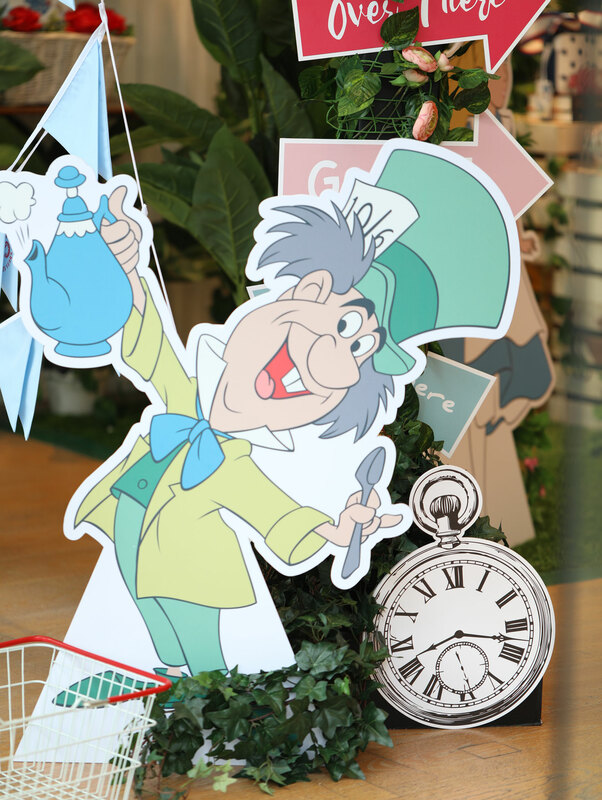 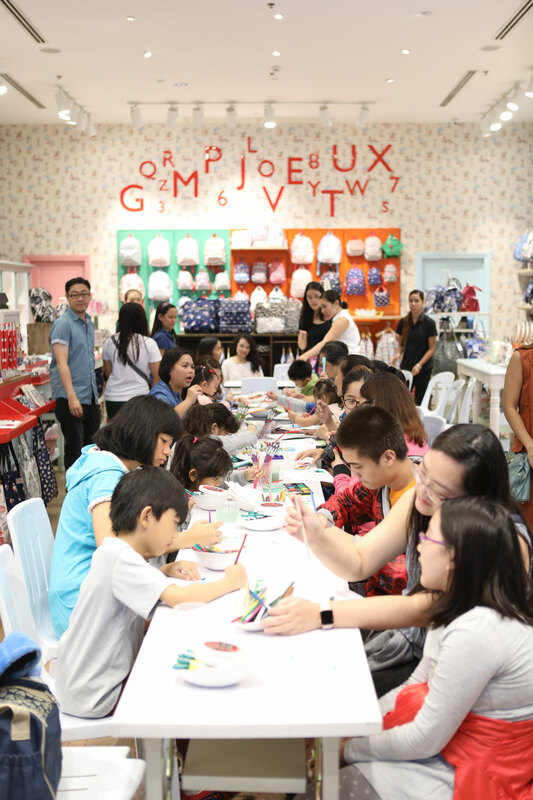 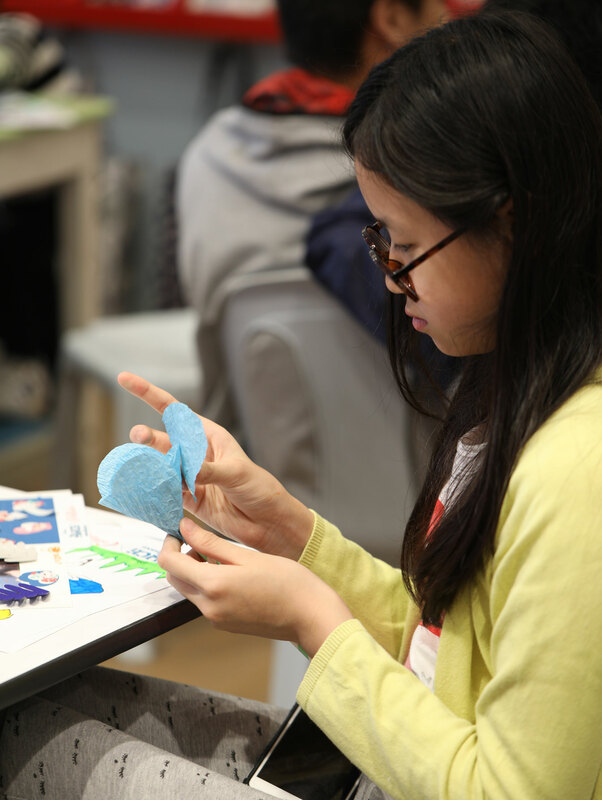 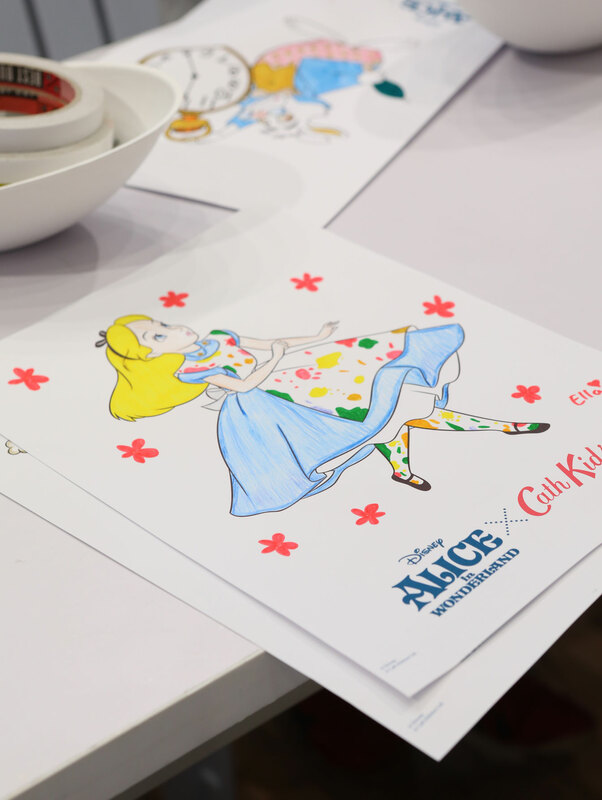 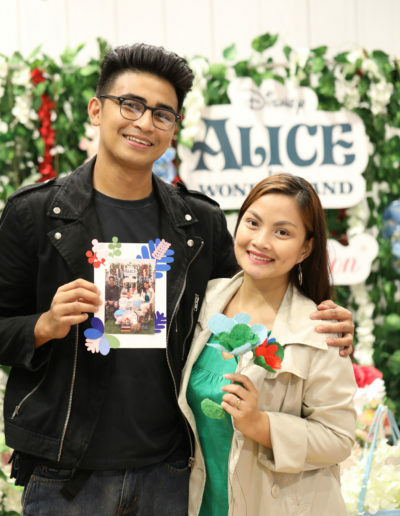 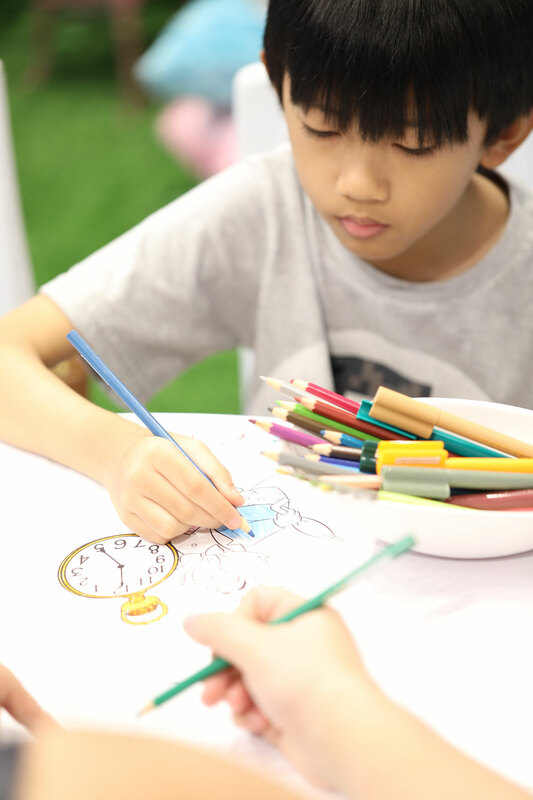 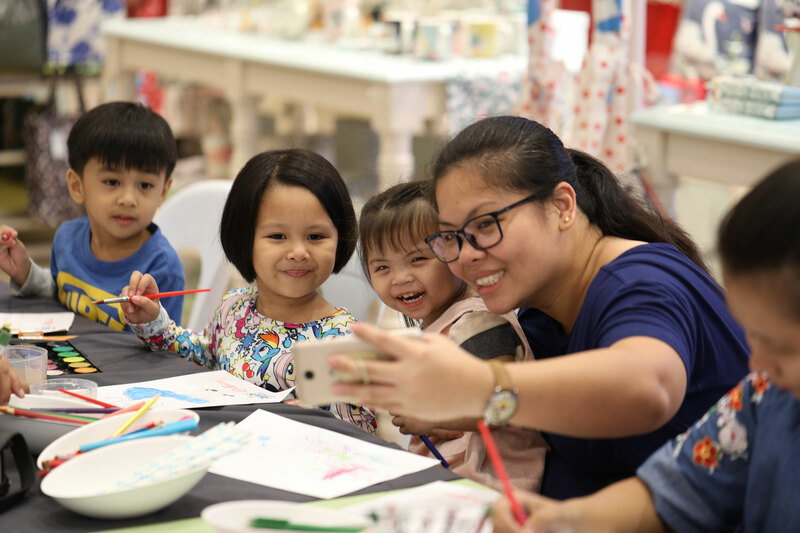 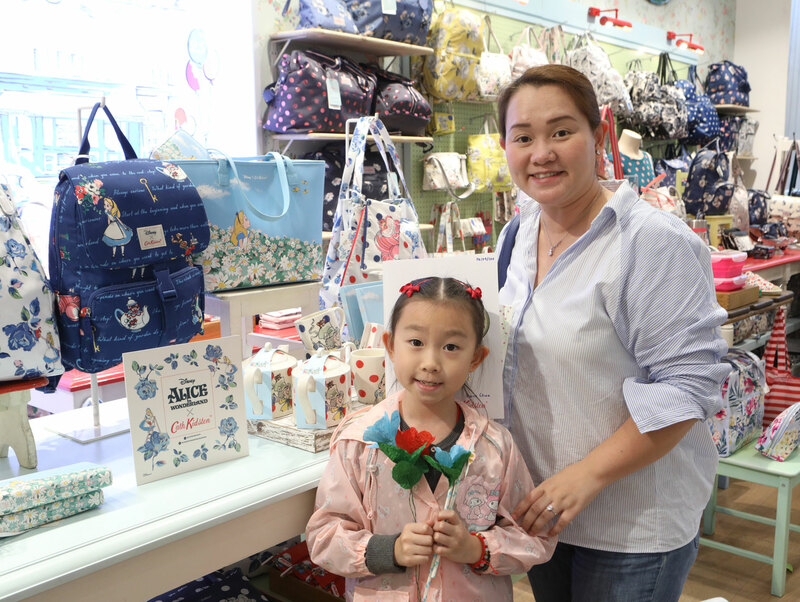 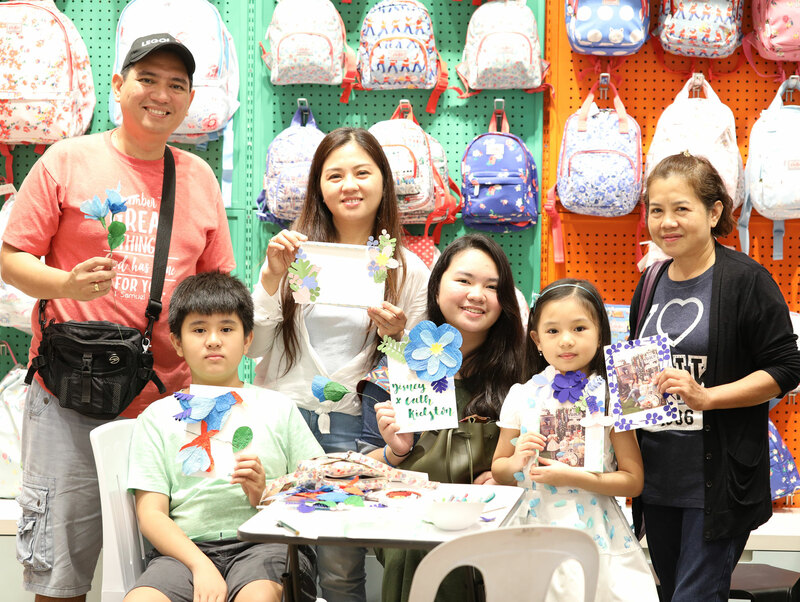 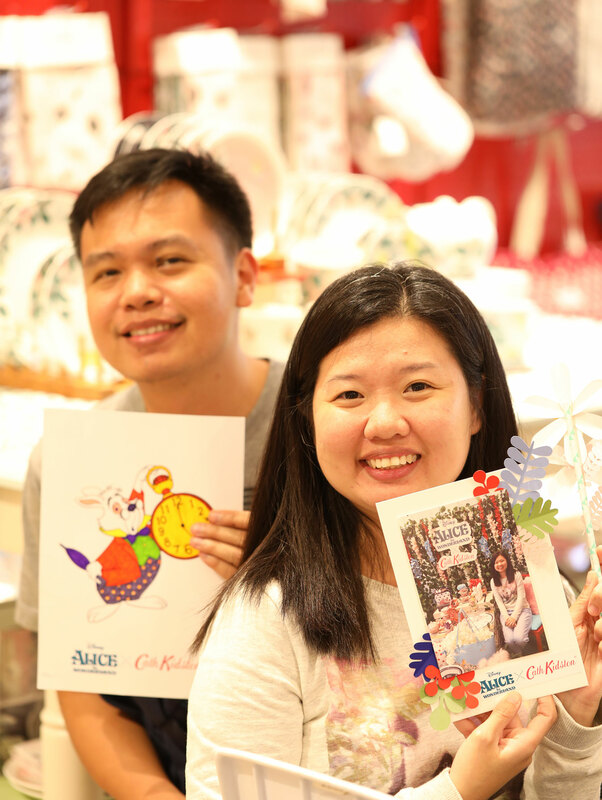 So when Cath Kidston asked us to conduct an arts and crafts workshop in celebration of the launch of their Alice in Wonderland collection, we got excited! 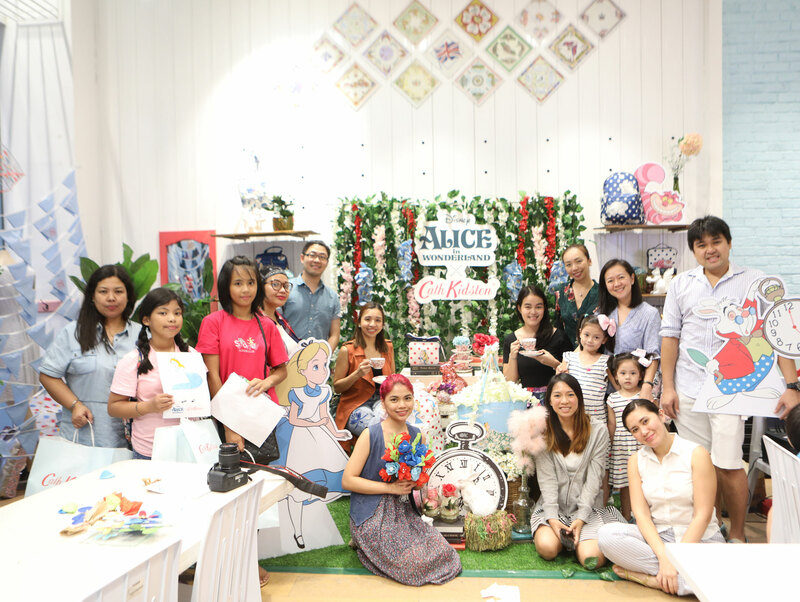 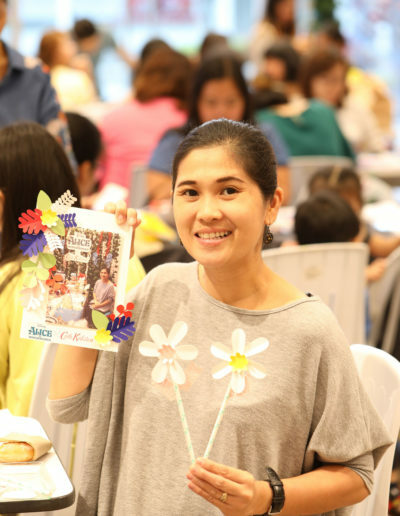 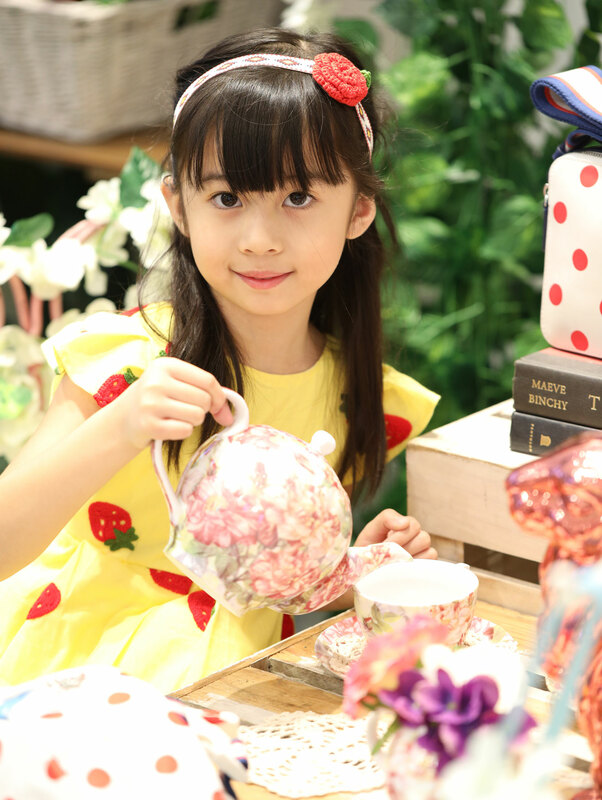 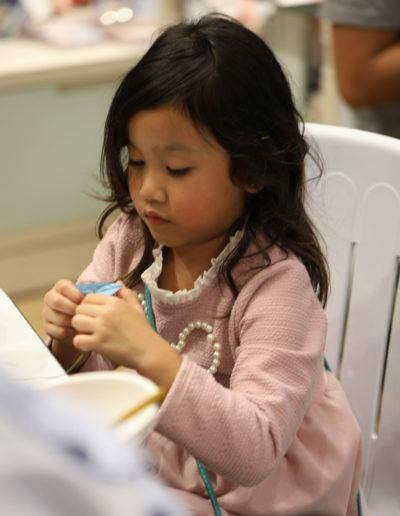 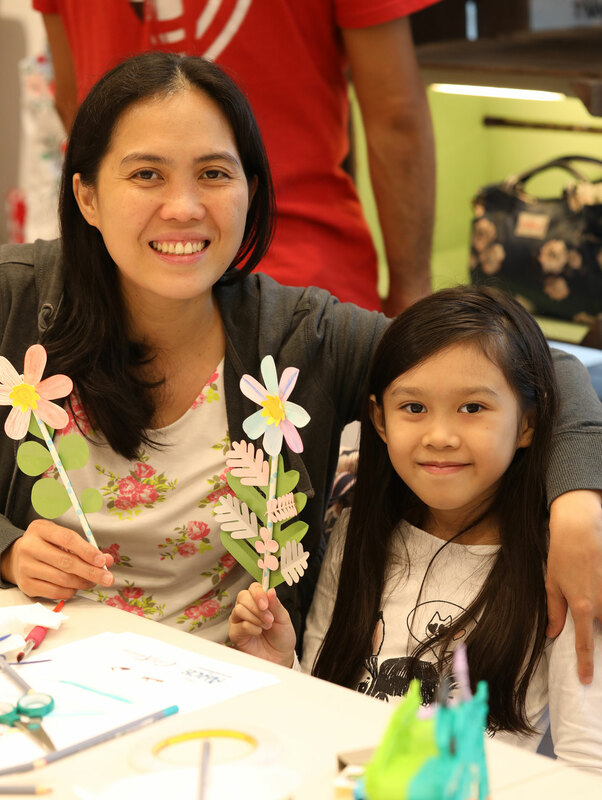 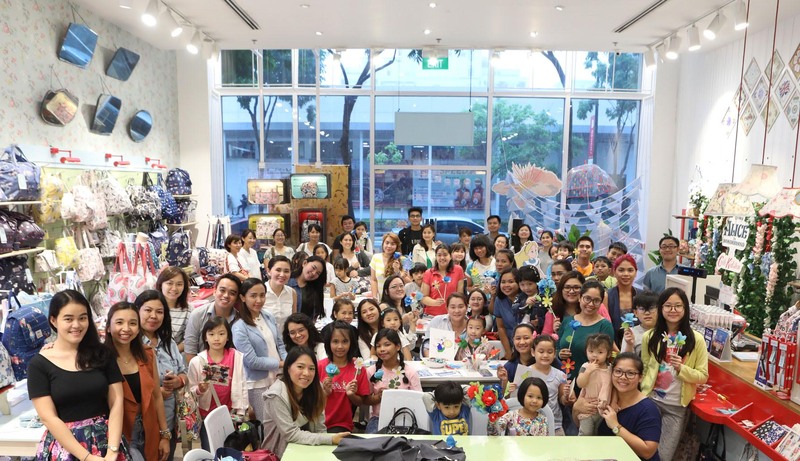 The Cath Kidston store in BGC was transformed into a whimsical tea party. 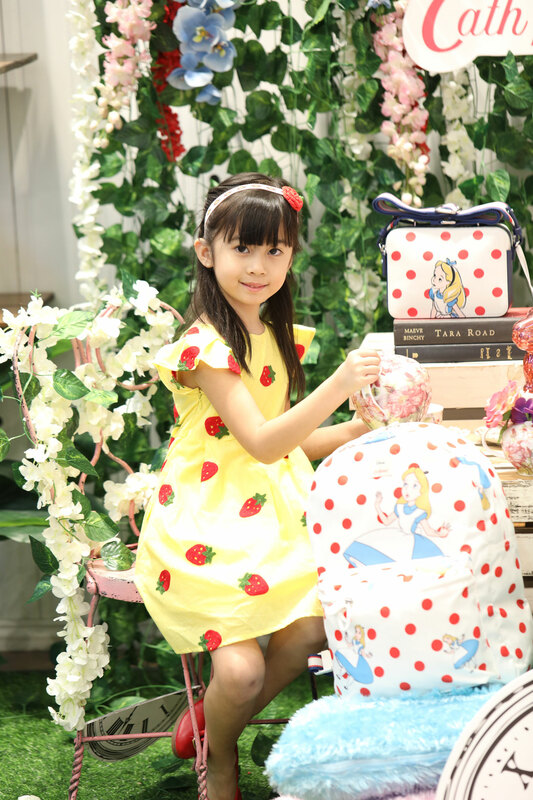 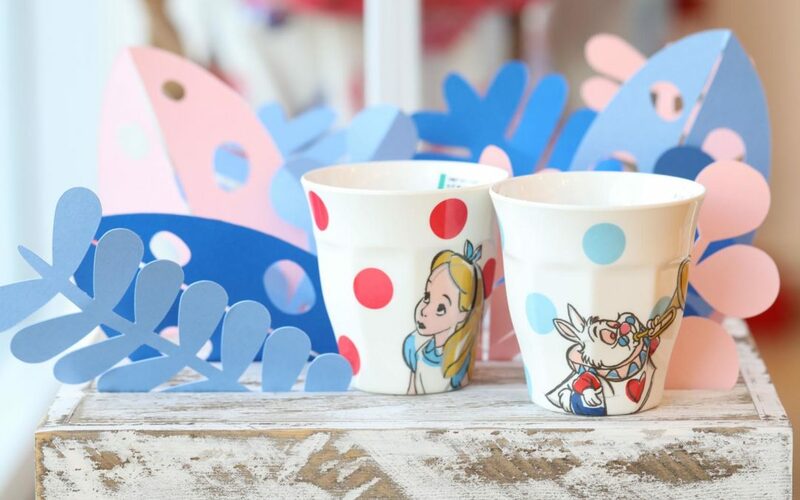 Their Alice in Wonderland collection was a classic red and blue palette, decked with roses, daisies (which became our inspiration as we picked out the crafting activities) and the ever recognizable characters from the Disney classic. 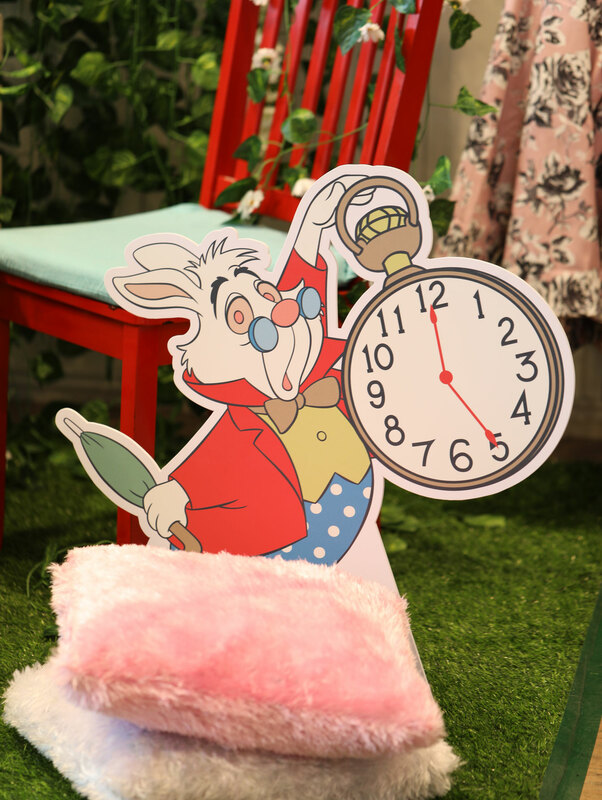 They even set up this cute photo backdrop for everyone! 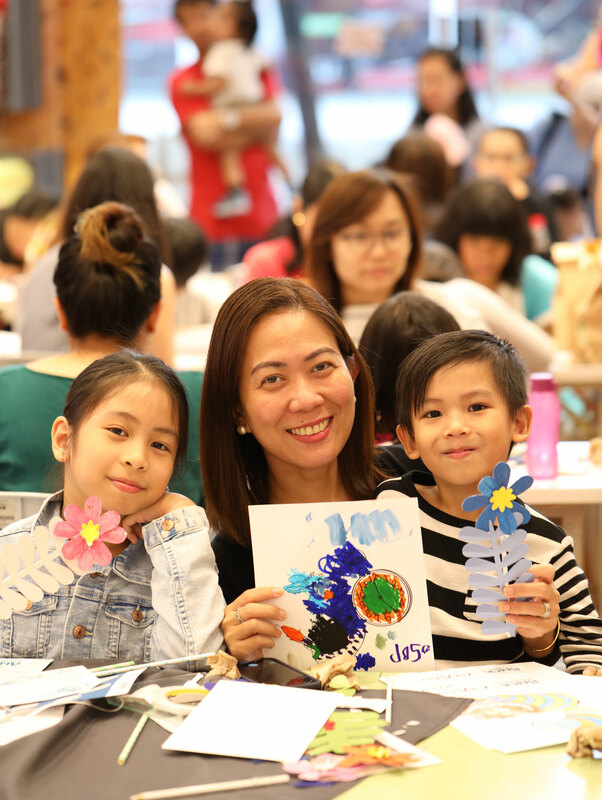 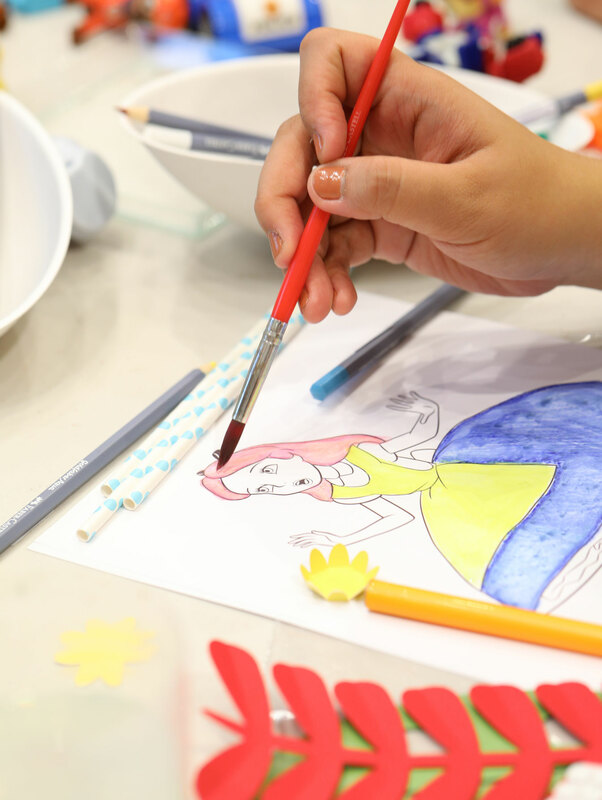 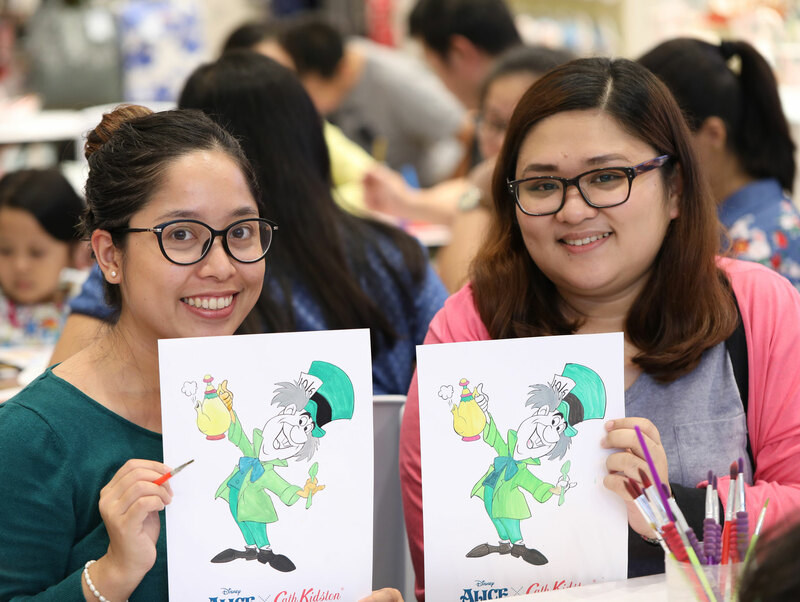 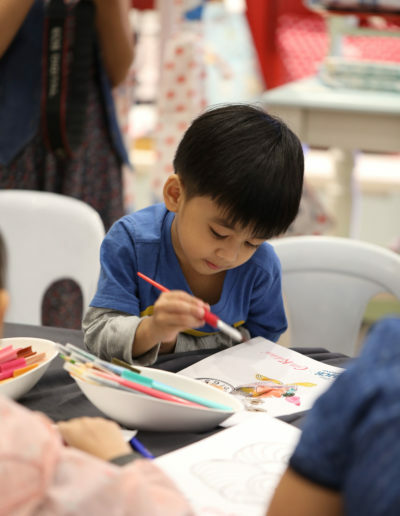 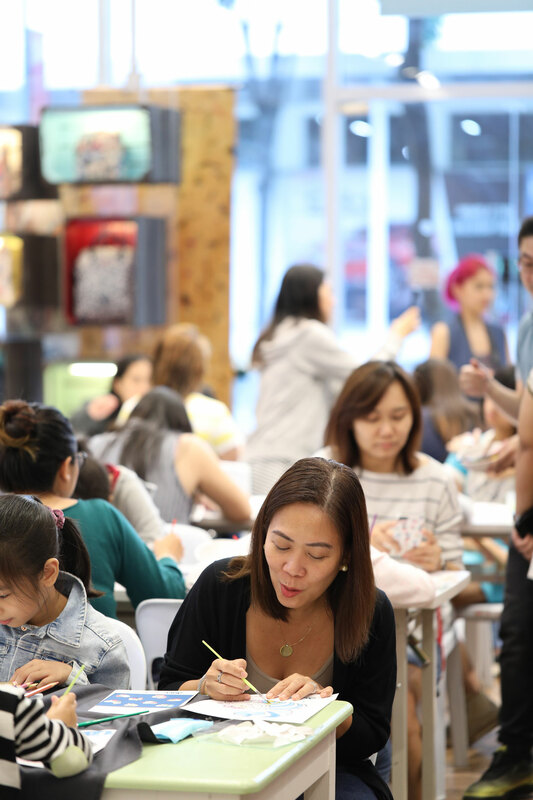 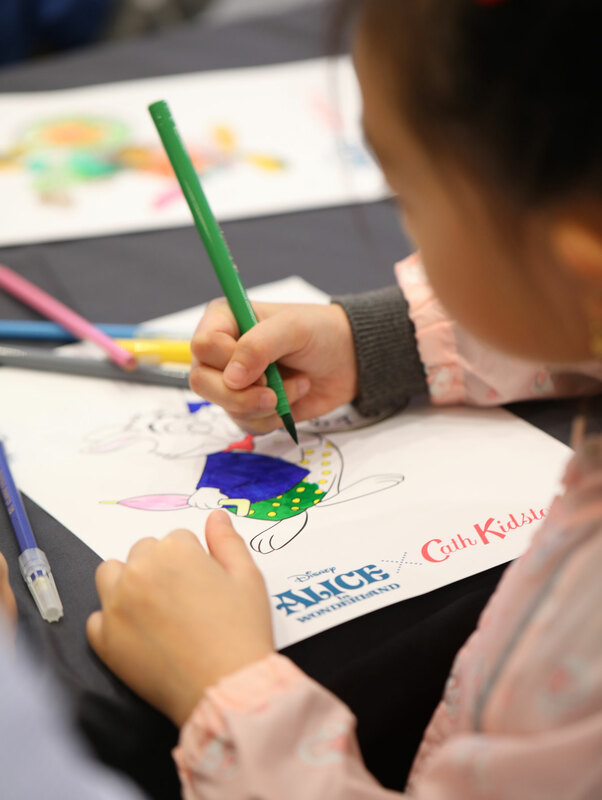 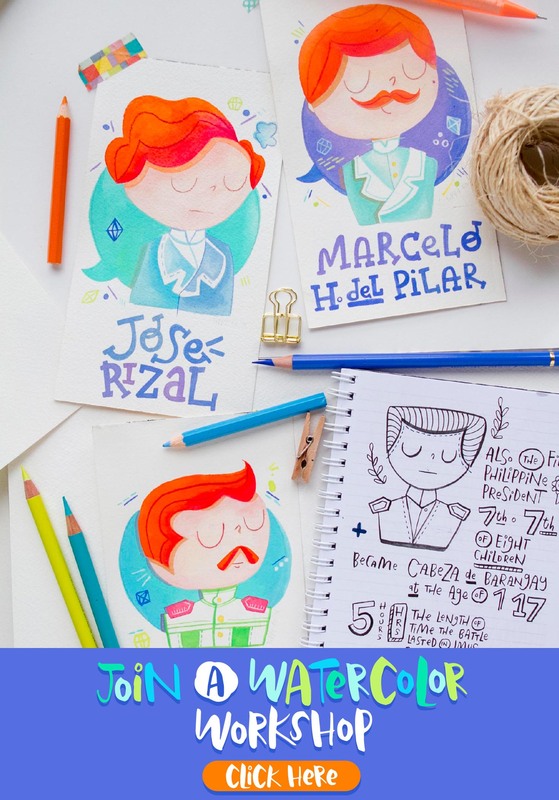 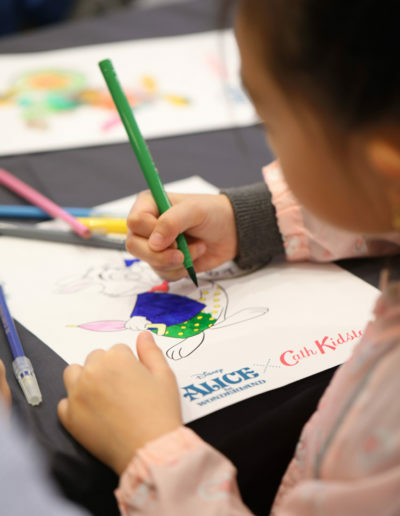 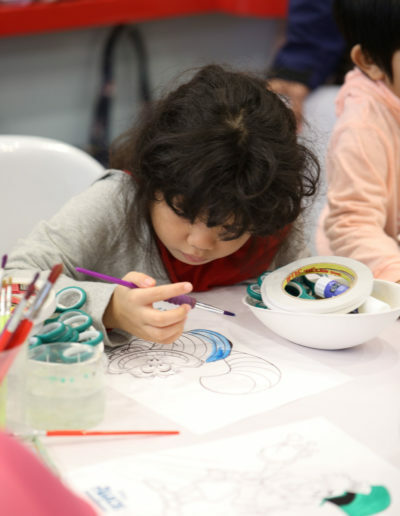 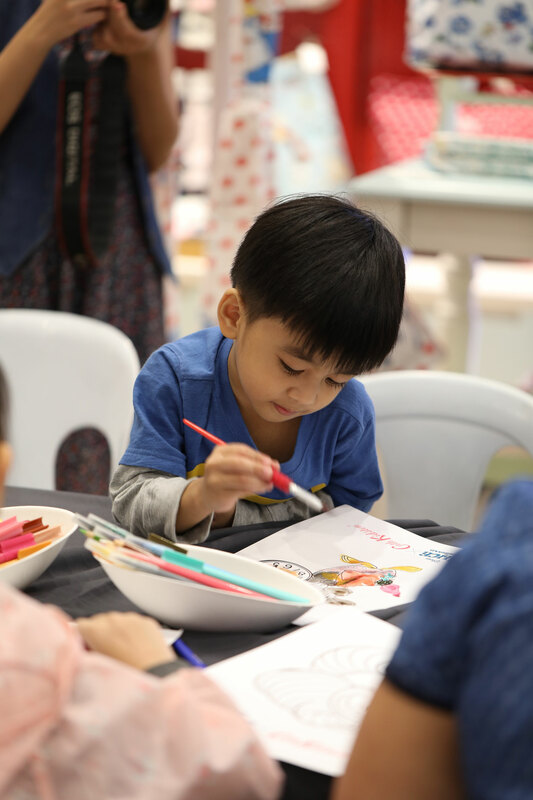 The day began with lots of hues (of course) as the kids and kids at heart enjoyed a coloring session using Faber-Castell watercolor, markers and colored pencils. 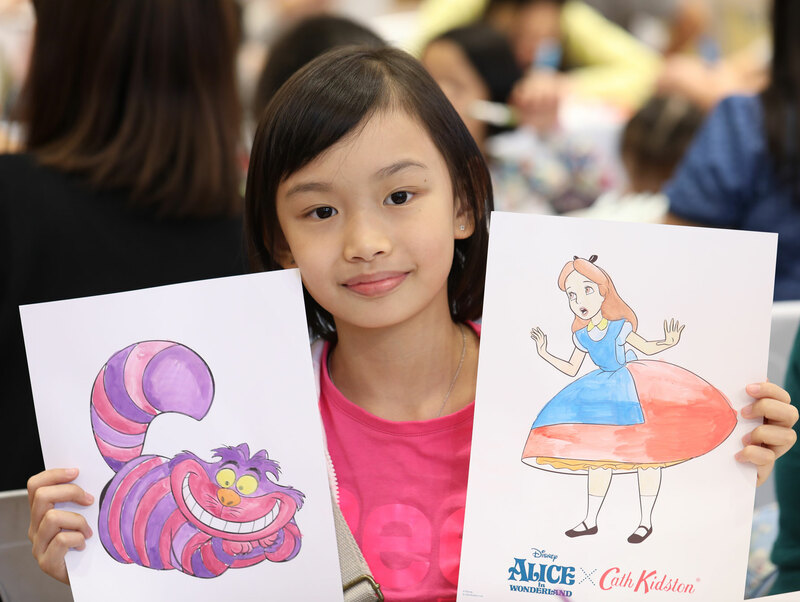 It was fun to see how each one interpreted Alice, the Chesire Cat, the White Rabbit and the Mad Hatter using their colors and patterns of choice. 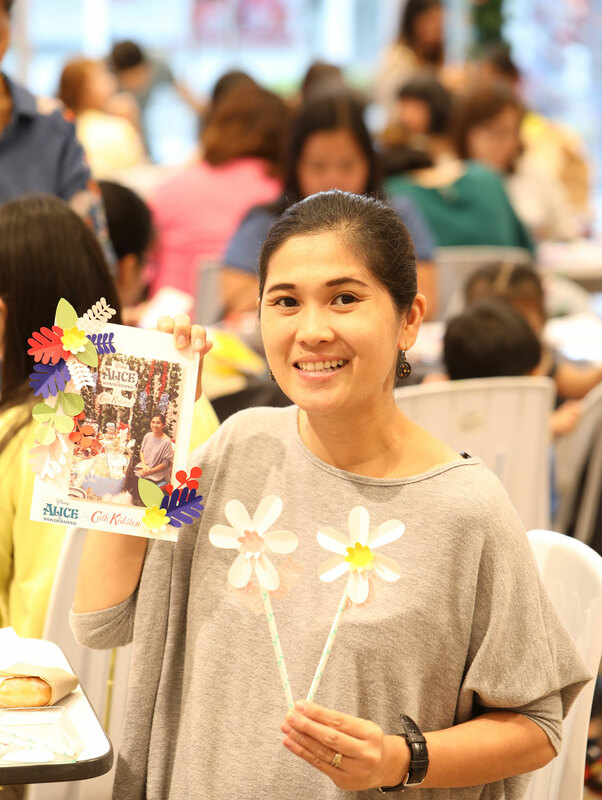 The second part of the workshop was a scrapbooking activity. 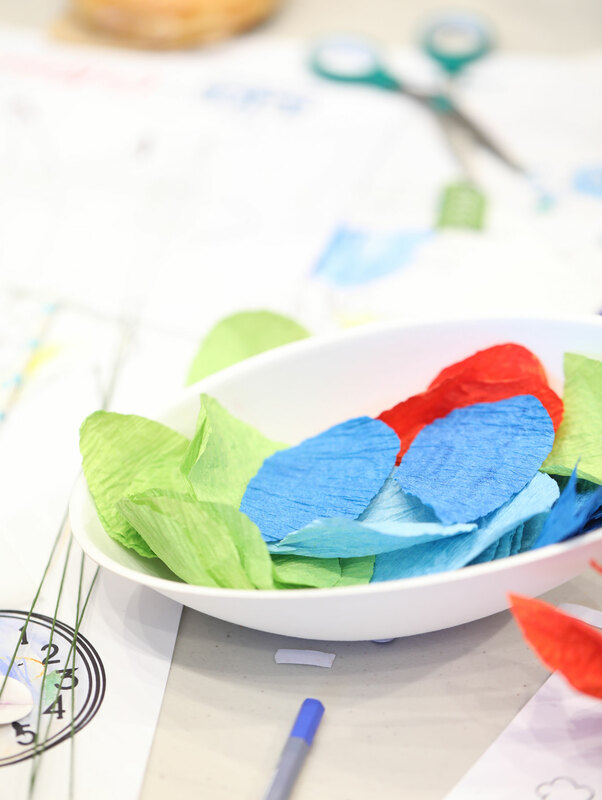 (We weren’t going to waste that pretty backdrop, would we?) 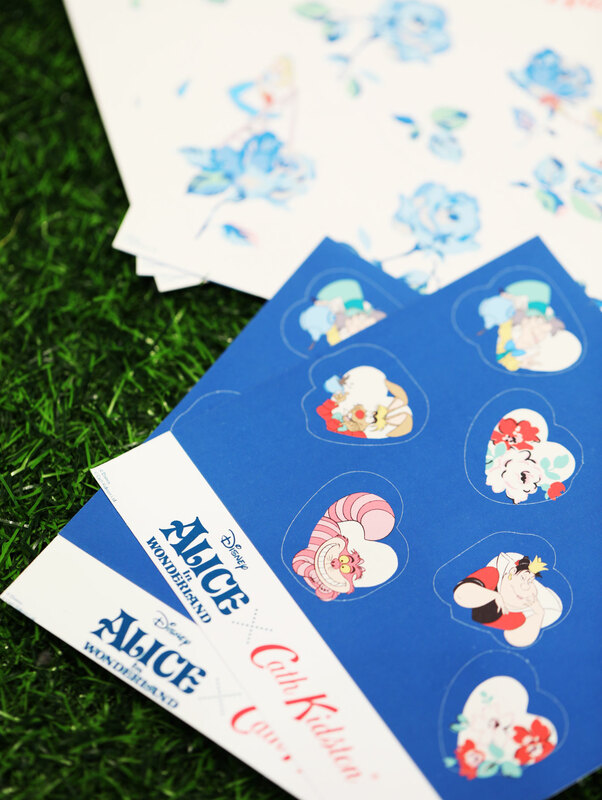 We printed and cut special Cath Kidston x Alice in Wonderland stickers, paper flowers and leaves for the participants to use and play with. We also set up a photo booth and printing station for everyone to enjoy. 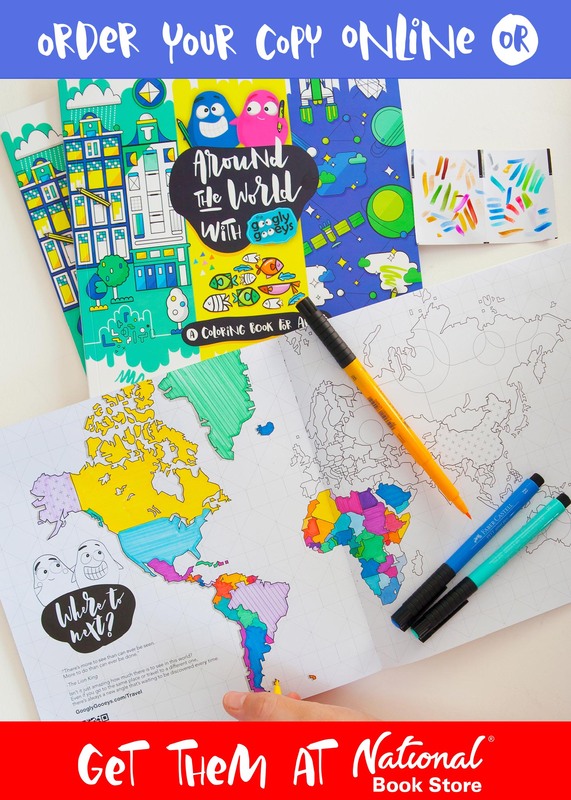 Massive shoutout to our teammates: our Canon G3000 Printer and Cricut Explore Air 2! 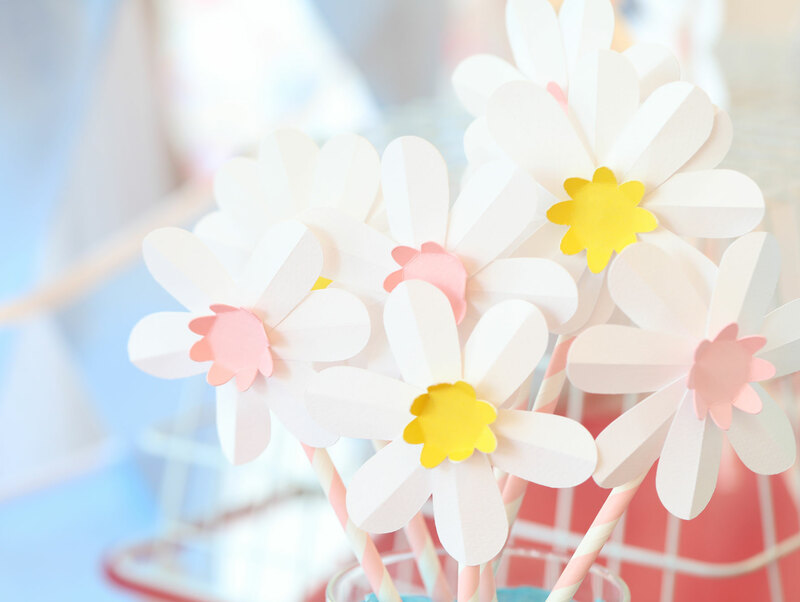 😉😊 More about Cricut soon! 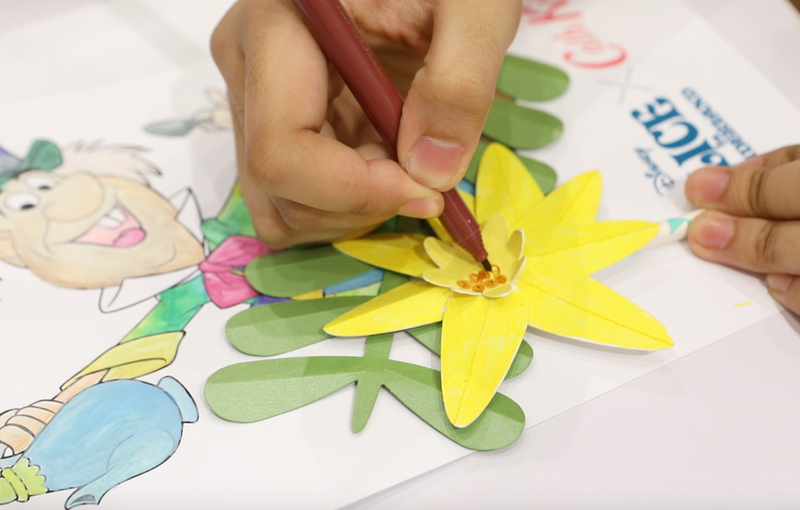 Yep, this is the machine that helps us breathe life into our flat digital files. 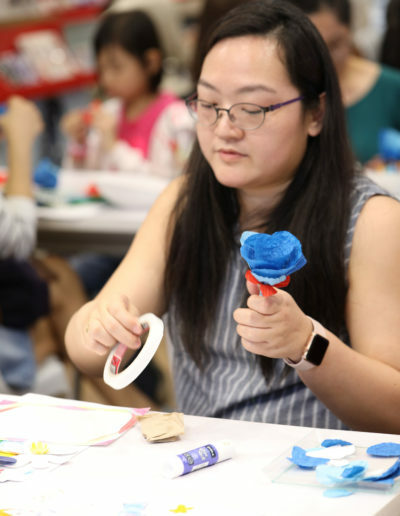 Painting the white rose bushes red is perhaps one of the most classic and recognizable scenes in both the Disney film and the Lewis Carroll novel. 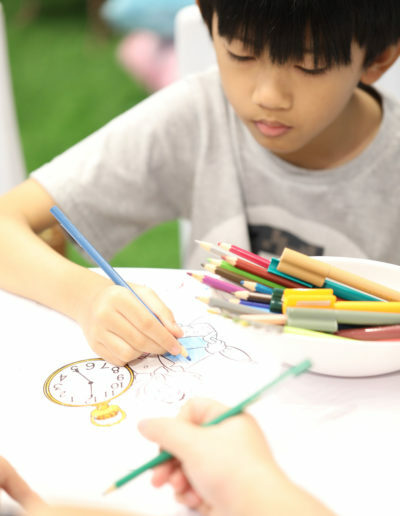 We wanted to incorporate the same to the activity but gave it a different spin. 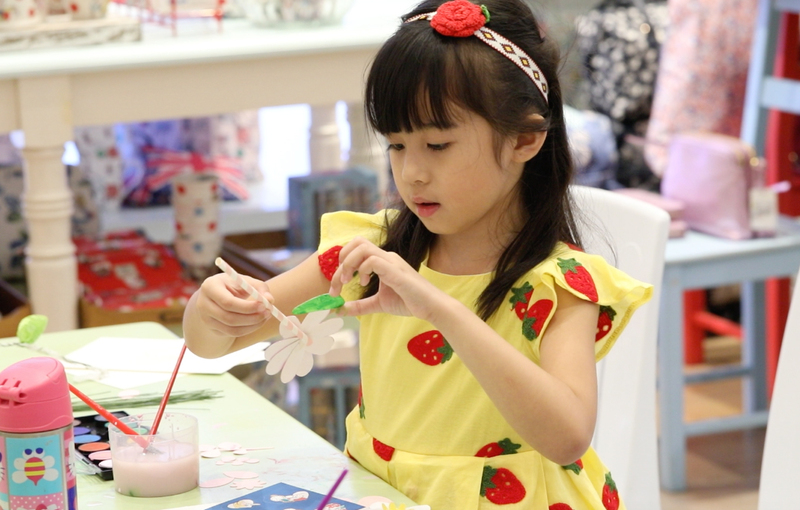 This time, we painted and drew on daisies (which if you could tell by now is a dominant element in the Cath Kidston Alice in Wonderland collection)! 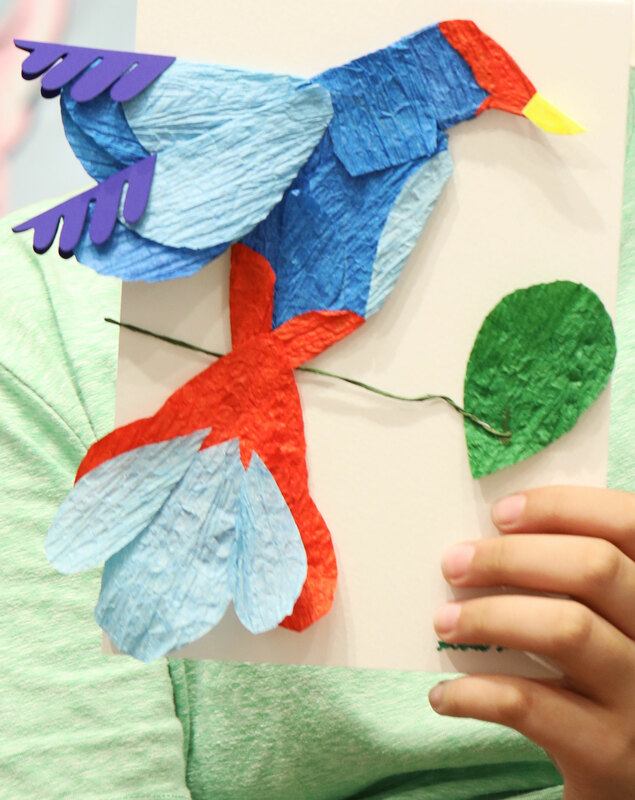 One of the kids used the paper flower petals to make this bird art piece. 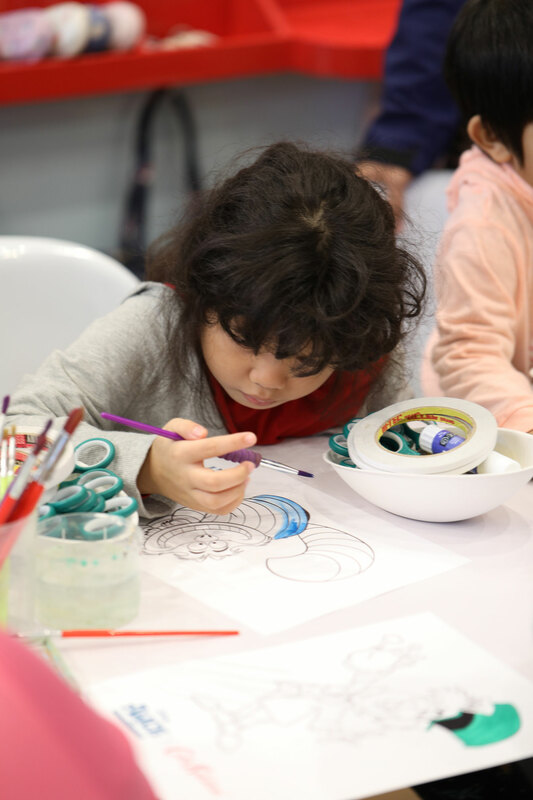 It’s always a treat to see kids bravely experiment and explore their creativity and imagination. 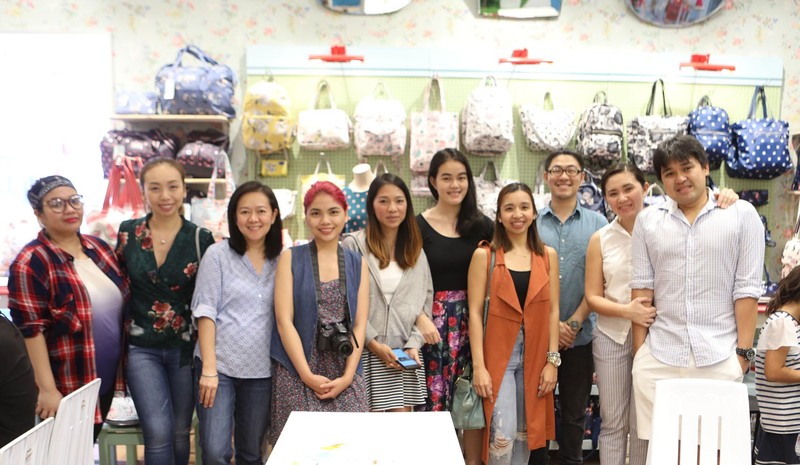 Of course, we couldn’t have done it without the help of the entire team: Sarah Ybanez, my sister-in law Joan, Cath Kidston’s very own Mariel and Chiky, Eunice Panopio, Anne Macachor, my sister-in-law Charice, our family friend Chong, yours truly and the hubby Pong. 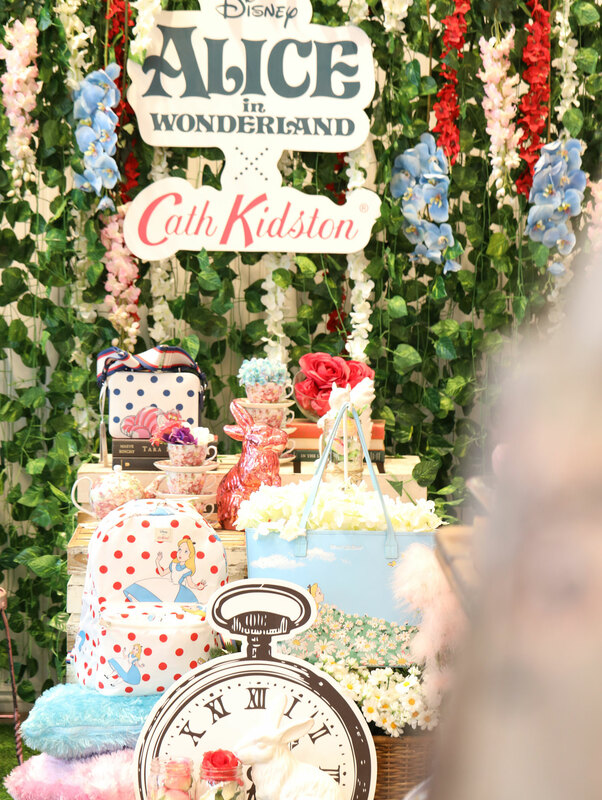 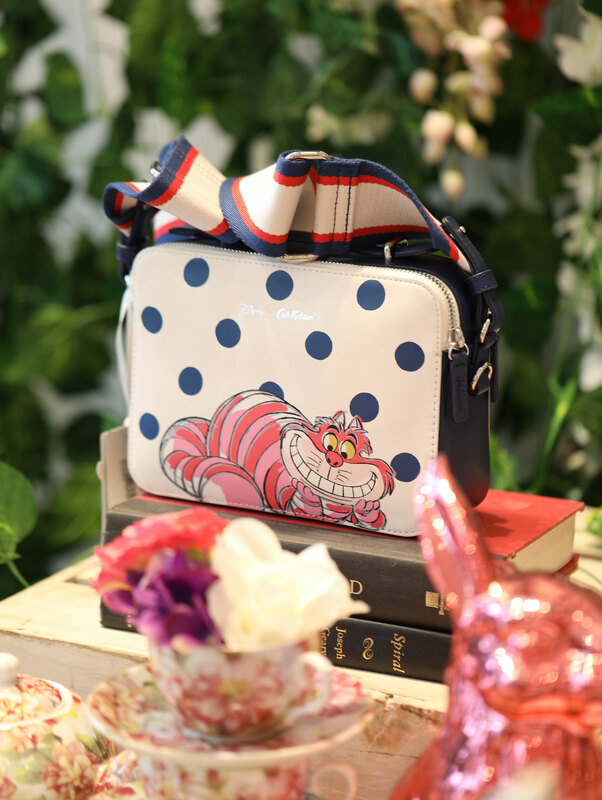 Here’s a little sneak peek of the Cath Kidston x Alice in Wonderland Collection. 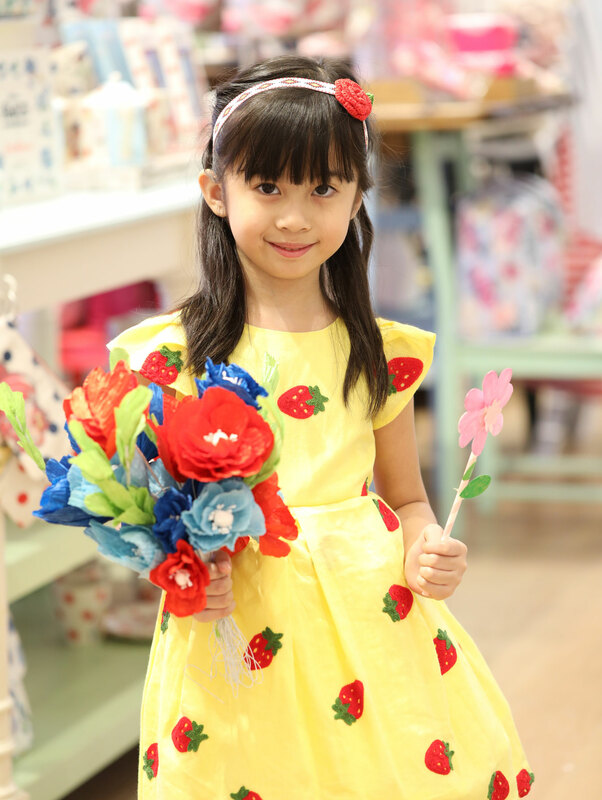 You can check it out on their official website www.cathkidston.com, social channels (Facebook | Twitter | Instagram) and their branches in Bonifacio High Street, Greenbelt, Mall of Asia, Seaside Mall Cebu, SM Megamall, Trinoma and UP Town Center. 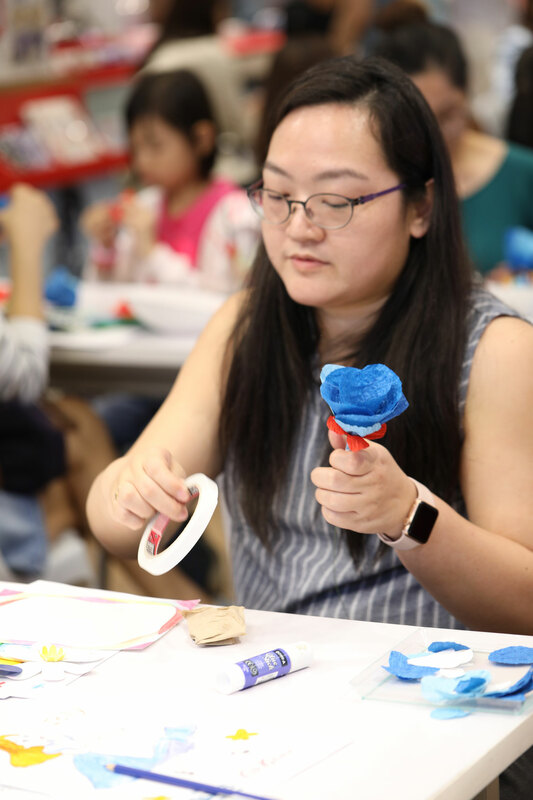 Interested to Join Future Workshops?